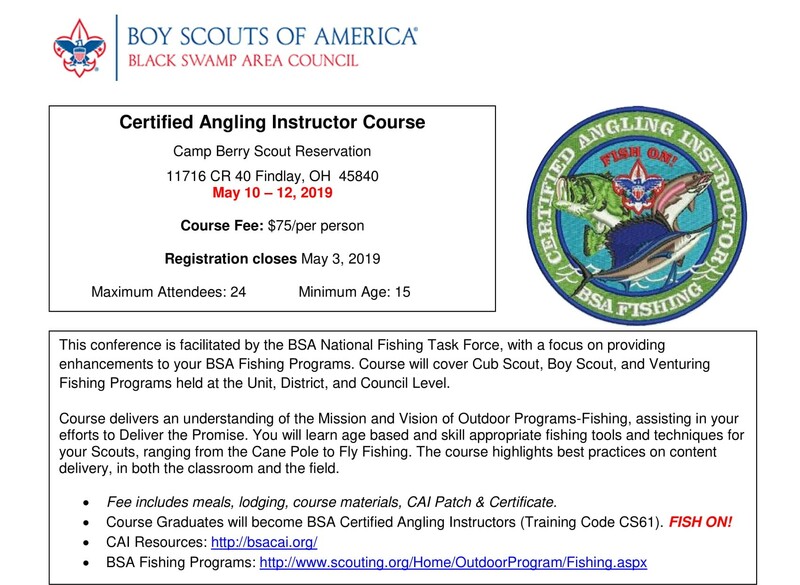 The Certified Angling Instructor Course delivers an understanding of the Mission and Vision of Outdoor Programs-Fishing, assisting in your efforts to deliver the promise. You will learn age based, and skill appropriate fishing tools and techniques for your Scouts, ranging from the cane pole to fly fishing. The course highlights best practices on content delivery, in both the classroom and the field.